The Connecticut River starts in the New Hampshire mountains, and then flows southward for more than 400 miles to the point where it empties into Long Island Sound at the town of Old Saybrook. 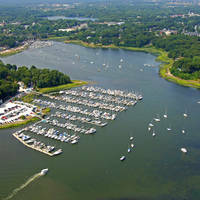 Along the Connecticut River are several towns and cities that cater to recreational boaters and have excellent marina facilities at their waterfronts. The towns of Old Saybrook and Lyme come first, and are followed by Essex, Deep River and East Haddam. The city of Hartford is about 400 miles upstream from Old Saybrook. Each locale has its own unique assortment of marinas and marine facilities, but if you do not wish to explore the upper reaches of the tidal Connecticut, Old Saybrook at the rivers mouth has two marinas. One of the marinas accepts transients, both of them pump fuel, but neither have haul-out facilities. For out of the water repairs, you must head upstream to Essex. Use NOAA Charts 12372 and 12375. 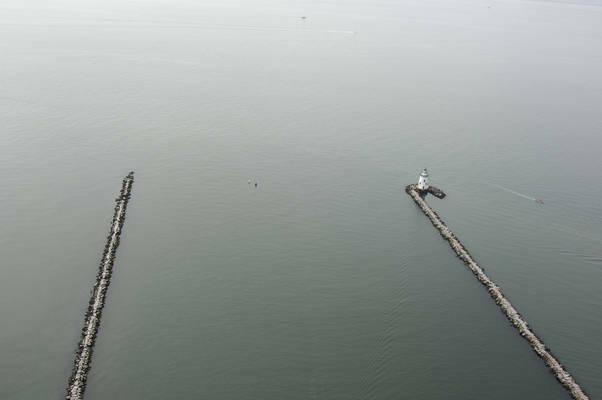 The Saybrook Breakwater Light marks the west breakwater that leads into the Connecticut River from Long Island about a mile southeast of the town of Fenwick. Flashing red buoy 2 is located just east of the big white lighthouse and serves as a secondary aid to guide you in the river. 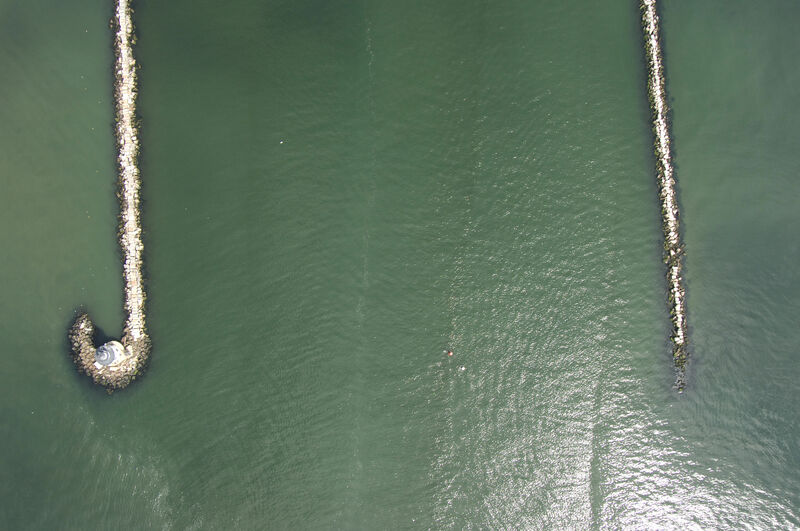 (Both the lighthouse and the flashing red buoy are visible in the image above.) Once you have cleared these two aids, you will navigate the Saybrook Outer Bar Channel up to red nun 4, and then flashing green buoy 5 at Lynde Point. There is also a land-based light marking Lynde Point ashore. From flashing green buoy 5, head toward green can 7 and flashing red buoy 8 southeast of Saybrook Point. 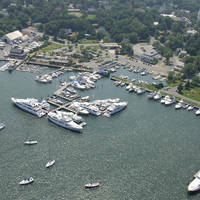 At Saybrook Point are two very obvious marinas, both of which pump fuel, but only one of which accepts transient guests. Repair facilities are available farther up the river at Essex. No reviews yet! 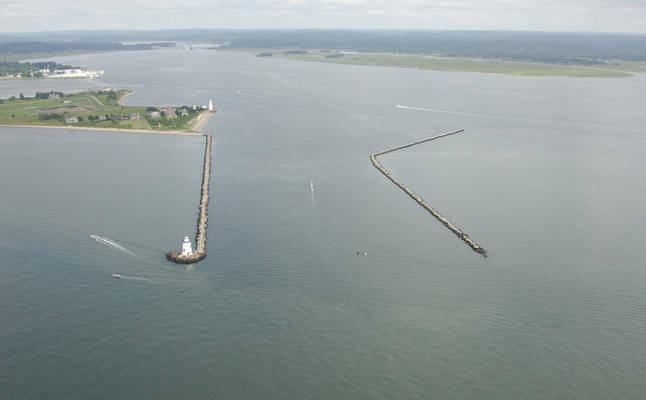 Be the first to write a review of Connecticut River Inlet.